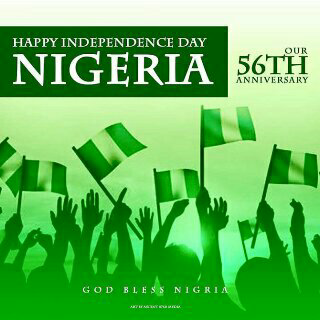 nigeria will be made independent. shoes and staggered a little bit.... She said a drunken 'kedu' and a scream of 'independence'. Nwanka will surely miss that her white boyfriend but then good riddance to bad rubbish. It was an anamazing time, Nigeria for once was just one people awaiting freedom. 76 years old Obinze smiled at his 20 years old grandson 'because it is our country... Listen young man, you all ...youths of these days only know how to complain... In my days, we lived for what we believed in. that stupid civil war... For Biafra, yes i did! But it never came... What of the likes of Zik of Africa or Awolowo...or Ken Tsaro Wiwa who died while trying to tell the truth... You all complaining about some hard times, we saw hard times son! 'God bless Nigeria...' he whispered..